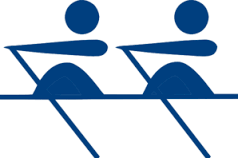 This September BAC will be hosting our FIRST Two Team Row Competition. This event will take place at our Scottsville Road location on Friday, Sept 2nd, from 8am-11am & 4pm- 6pm, Saturday, Sept 3rd, from 8am -11am and Sunday, Sept 4th, from 11am- 1pm. All performed on our Indo Row Water Rowers. Teams must consist of 2 members and can be made of 2 females, 2 males, or one female and one male. (Unisex team will be in Male Category). Teams must complete 2,000 meters total, alternating 500ms, for the fastest overall time. Each team will have 2 attempts within the weekend but the 2nd attempt, if taken, will be the time that counts. The Leaderboard will be updated in real time as each team finishes that will show the top 3 team’s time for each category. Overall Top Male and Female teams will receive a prize. No Comments to "BAC Row Competition"